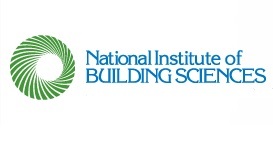 WASHINGTON – (RealEstateRama) — The National Institute of Building Sciences Building Seismic Safety Council (BSSC) will host the fourth webinar in its 2017 series sponsored by the Federal Emergency Management Agency (FEMA). The free webinar, “Seismic Design of Composite Steel and Concrete Structures,” will be held Friday, June 2, 2017, from 2:00 pm to 3:00 pm ET (11:00 am to 12:00 pm PT). The BSSC webinar series highlights the National Earthquake Hazards Reduction Program (NEHRP) 2015 NEHRP Recommended Seismic Provisions for Buildings and Other Structures, as well as its supporting materials, FEMA P-1051 Design Examples and FEMA P-1052 Training Materials. Composite steel and concrete lateral force resisting systems are not commonly used as the primary lateral force-resisting system in regions of high seismicity. Presenter Robert G. Pekelnicky, PE, a member of BSSC’s Provisions Update Committee and chair of the BSSC Project 17 Committee’s Acceptable Risk Work Group, will discuss one particular type of composite steel and concrete lateral force resisting system—the composite partially restrained moment frame (C-PRMF). The American Society of Civil Engineers (ASCE)/Structural Engineering Institute (SEI) 7: Minimum Design Loads for Buildings and Other Structures permits the use of this system in Seismic Design Categories A through D. The moment frame is created by using the composite floor slab and a seat angle attaching the bottom of the steel beam to the steel column. As part of the presentation, Pekelnicky will show a worked example of this system. A principal of Degenkolb Engineers in San Francisco, Pekelnicky specializes in making community and business infrastructure resilient against earthquakes, explosions and other hazards. He has applied his multihazard mitigation knowledge to various projects for government, high technology and healthcare clients. His career has focused on taking new, innovative structural engineering concepts from research and applying them to practice to better meet clients’ needs. Attendees who are engineers are eligible to earn one Professional Development Hour (PDH) for the webinar, code officials are eligible to earn 0.1 Continuing Education Units (CEUs) and architects are eligible to earn one health/safety/welfare (HSW) CEU. People are encouraged to watch the webinar together as a group or a firm, but all viewers must sign up individually to receive learning unit verifications. Sign up now to attend the free “Seismic Design of Composite Steel and Concrete Structures” webinar on June 2. Space is limited to 100 participants, so don’t wait. Register today! Previous articleSummerHill Apartment Communities to Celebrate Completion of Villas on the Boulevard Apartment Community in Santa Clara, Calif.